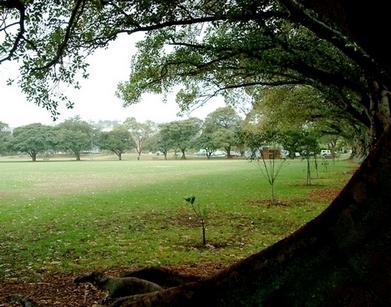 Located on the Sydney Harbour foreshore at Rose Bay, Lyne Park is a great spot for a free family day out. Lyne Park provides gorgeous views across the water to Mosman and Middle Harbour, and to the surrounding areas of Point Piper, Rose Bay and Vaucluse. 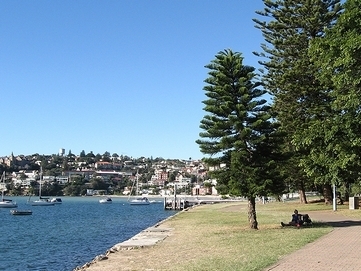 It includes tennis courts, sporting fields, a children's playground, public and private jetties and Rose Bay ferry wharf. 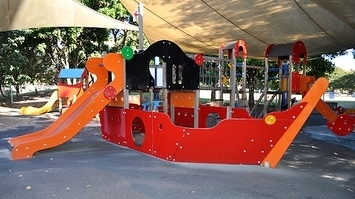 The playground features a boating theme with lots of shade above to protect the kids from the sun and a rubber soft fall floor. Slides, climbing nets, ladders and rockers should keep the kids occupied while the adults set up a picnic at a nearby table and gaze out at the view. If packing a picnic is not really your thing, Lyne Park Cafe is open for breakfast and lunch, 7 days a week, for you to grab something to eat or a coffee. The park is framed with amazing giant fig trees that provide shade and character. Why not take a kayak for a paddle or put your dinghy in at the public boat ramp? 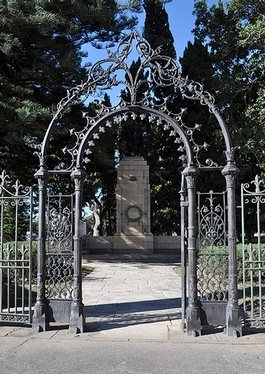 Developed in 1902 from reclaimed land, Lyne park is on New South Head Road at Rose Bay. It is approximately 7.3 hectares in size. You can catch the ferry and make a full day of it. Parking is at a premium in this busy inner city suburb. There are a couple of carpark areas specifically for the park and ferry users but they fill up fast so plan to get there early, especially if there are local sports being played in the fields or if it is a beautiful Sydney morning. The carpark areas are being upgraded (due to be completed very soon) so hopefully the parking situation will get better. Dogs are permitted on a leash at all times and unleashed between 4.30pm - 8.30am. Bus and ferry information can be found here. The Lyne Park Tennis Centre can be contacted for booking enquiries.